As a Non-Profit Organisation ourselves, we fundraise and humbly request for our members to participate in selected sustainable projects we believe are aligned to our mandate and hence focus particularly on young girls and women. 60% of South African girls and women cannot afford to purchase any form of sanitary protection. As a consequence, young girls may lose up to 50 days of schooling per year. We recognize that empowerment doesn’t begin in adulthood but needs to be seeded, nurtured and harvested across every milestone of a woman’s life. With this in mind, a project close to the heart of the BWA is the Dignity for Young Women Project, known as Sanitary Sista’s, which provides sanitary pads to school-going girls in impoverished communities where a lack of access to proper sanitation and running water, makes these girls particularly susceptible to disease and infections. The BWA together with its partners and members has successfully embarked on a project which involves the collection and distribution of sanitary pads for underprivileged young ladies. Many underprivileged young women have worked very hard, under challenging circumstances to matriculate with the desire to enter the formal job market. 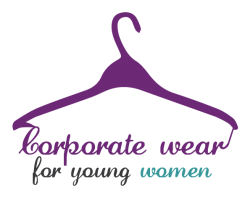 BWA runs a project to collect good quality, second hand corporate clothing from our members. We appeal to our members to donate any work clothes that no longer fit, or they no longer wear, which could assist someone else to gain the confidence they need by looking the part to win an interview and be offered a dream job. The BWA annually partners with local disadvantaged schools, by providing basic stationery packs for the foundation phase, to assist in improving the standard and experience of learning for young children within our country. The BWA requests your donation of R100 per pack which is made up of the basic stationery requirements of the children and allocated at the beginning of the school year. The BWA strongly believes that education is the key to unlocking Africa’s immense potential and breaking the cycle of poverty. The Businesswomen of Tomorrow workshops have thus been designed to prepare Grade 11 and 12 learners with the principals, concepts and skills to help them make a success of their entrance into the workplace. High-calibre speakers have enlightened the girls on a range of relative topics from making informed career choices, understanding finances and preparing for a job interview. This programme ensures the next generation of businesswomen are motivated and equipped to succeed when they enter the business environment. The regional events have been immensely successful and have enabled 1000’s of girls to see that a world of possibility, outside of their circumstances is attainable. Over the past three decades, the Businesswomen’s Association has been awarding bursaries to deserving post-graduate students. A portion of the proceeds from the annual awards programmes for women are awarded to students across South Africa. This initiative is strongly aligned with the BWA’s commitment to strengthening the next generation of leaders. Over 100 bursaries have been awarded thus far and recipients can now confidently function as global citizens in an increasingly competitive market. We have a responsibility to help them do it.